You may enter as many categories as you wish. Our Awards Team are on hand to help you out at any stage. 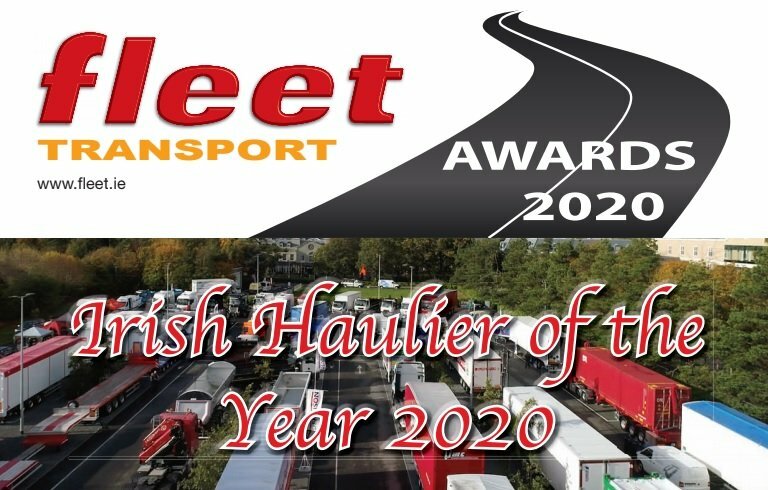 Please contact Anne Marie on awards@fleet.ie | 086 1451330. A full description of each category is set out below. Entrants must operate their own fleet of vehicles to distribute their own goods. Companies will need to show the active measures they have taken to improve service levels and to grow the company, in both size and profitability. Judges will focus on investments or improvements made to increase efficiency of the distribution sector of your business/production facility. This award sets out to recognise companies which operate a number of light commercial vehicles and consistently demonstrate best practice in their operation. As the van sector includes a large number of companies who are not primarily engaged in transport, there is great scope to include companies who use light commercials to provide services to their customers or end users. Outline any special or specific equipment fitted to the vehicles. Companies will need to demonstrate how they have developed environmental impact assessments and environmental statements to meet planning, transport and other environmental consent requirements. Increases in efficiencies through reducing empty running, driver training, purchasing of Euro 6 or alternatively powered engines will prove your care of the environment as will recycling/waste disposal regime. This category is designed to recognise women working in all areas of the transport and haulage industry. If you have achieved success in your area of expertise in the road transport industry, the judges will welcome an entry from you, whatever your position. This category aims to recognise women who are positive role models in the industry to encourage more women to see the haulage industry as a worthwhile career. The judges will look for innovation, enthusiasm and dedication in what is often perceived as an unattractive industry by women. This category offers an opportunity to a broad range of operators in the transport, storage and handling of products. It is open to companies such as hauliers, own account, distribution, freight consolidation, forwarding and logistics specialists. The judging panel will assess policies and procedures covering aspects of this specialist sector including history, customer relationship management, security, Health & Safety, HR & Training and care for the environment. The ‘Customer Service Excellence’ award recognizes specific accomplishments in customer service, whether they are achievements by an individual, a team, or a department. The judges will look for evidence of the effort and impact of excellent customer service on the customer and business. Training and demonstrable commitment of the company to customer service will be an added bonus in this category. Customer testimonies will also be of benefit.